That’s exactly how my brother Nick and I felt when we purchased our ’70 Series IIA. 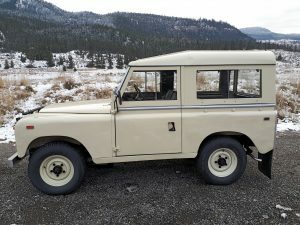 To us, the Land Rover was not eye candy because of its heralded reputation as an off-road and expedition vehicle, but because we needed the snowplow attached to it. At $3,500, it constituted a big investment for a young team in the 80s. My work careers would include gasfitter, millwright and steam engineer in my home province of British Columbia, while Nick would become quite the proficient automobile mechanic. Before we mastered our trades, however, we operated a snow removal business. As you can imagine, in some parts of Canada that’s as valued as being an air conditioning expert in Florida. We found our Land Rover at a full-service Texaco gas station, one at which someone pumped your gas for you while operating a complete repair service center at the same location. By then, many of these garages had morphed into convenience stores that sold milk and bread instead of tires and batteries. This service station owner might well have been the original owner of this Land Rover, but like us, he mostly used it to clear his station’s parking and entrance areas. Nick and I would come to learn how diversified and multi-functional the Land Rover could be by reviewing the optional equipment section of the 1st Edition Service Manual that came with the purchase of this Rover. 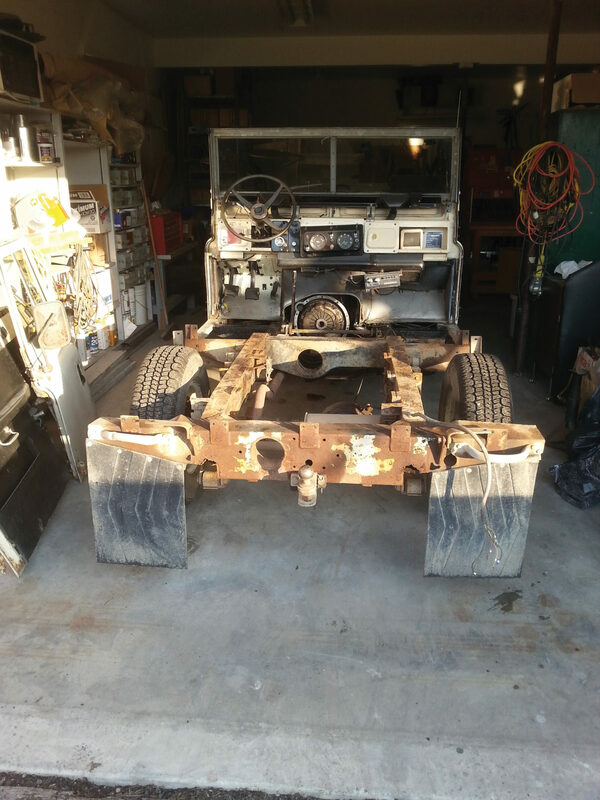 With special features including a Fire Pump, power take off for farm implements, drive pulley system to run a saw or maybe a combine, and even the hydraulic powered winch system, our Land Rover could accomplish anything! 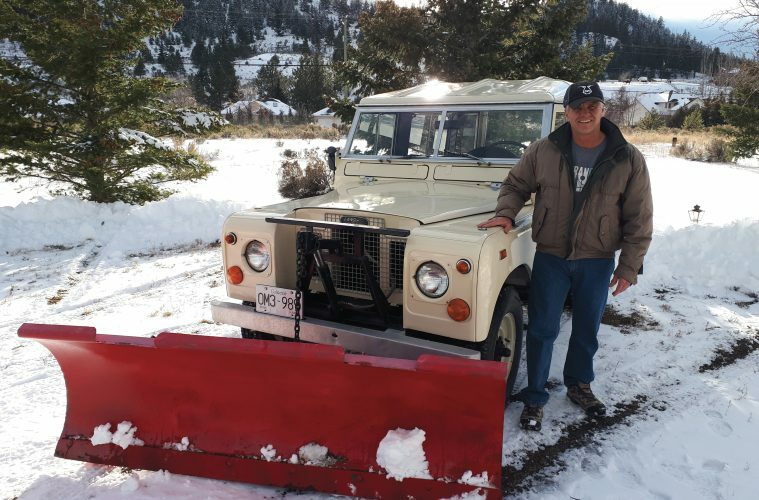 Over the years Nick and I found the Land Rover invaluable for some of our more challenging snow removal contracts. One that I could never forget featured a long driveway with a steep grade. The resident-owner stated to us once, “I never saw a vehicle that could plow snow driving up, all others he had in the past could only do it by plowing down,” a testimonial to the superior torque and traction of the Series IIA. A decade later, Nick and I ended up living in different cities, so when I moved to Kamloops, my brother bought my share of the Land Rover. After one winter he found he could not keep up with the snow removal contracts, and he no longer had a need for the Rover. When I sold him my share, I told him that I wanted first dibs on buying it back. So Nick delivered it to me that spring, a godsend as which I had — and still have — an extensive driveway, and I knew I would need something for snow clearing for the following winter. For years I used it for this, yard work, and exploring the countryside around my area, all the while I was rebuilding and repairing different problems that required attention. Before the internet and with the collapse of British Leyland, parts were harder to source as vendors and suppliers appeared to come and go. 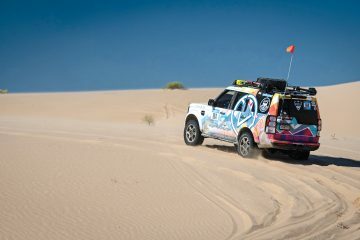 Some of the suppliers that helped keep this Rover operational such as Campart in Calgary and Wise Owl in St. Albert have gone out of business, while other British parts companies focused more on sports cars. It didn’t take me long to say “Thank you!” to Rovers North for their extensive inventory and technical knowledge. All was good until 2016, when a transmission problem required removing the transmission (or to be a better Anglophile, “gearbox”). 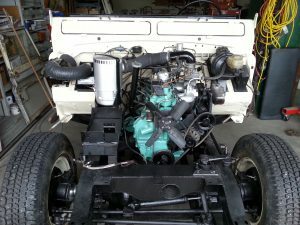 The gearbox would create a growling noise when it was in reverse after you moved 15-20 feet, if you took it out of reverse and put it back in, you could travel another 15-20 feet before it would start to growl again. The problem turned out to be a bearing for the reverse gear. During a previous gearbox repair, I’d removed it and the transfer case from below, requiring me to separate the units from each other in order to have enough room. This time I decided to remove the bolted-together units from above, necessitating the removal of the floors, seat box and transmission tunnel assemblies. So, disassembly began and one disassembly leads to another until I was left with only the frame. 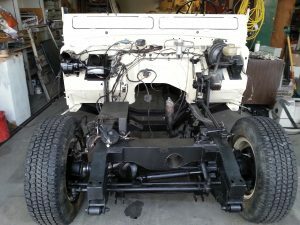 By having it stripped down to the bare bones I could see the need for repair of the frame and replacement and/or rebuild and painting of all the components on reassembly. By the way, the problem with the gearbox was that the bushing in the reverse gear assembly had slid away and was thus rubbing against the casing. Why not a conventional roller bearing? Perhaps the design engineers thought one wasn’t required because you don’t generally go into reverse very often. If so, I think the engineers missed our scenario of using this equipment for snow removal, because in this instance you reverse the Land Rover often!